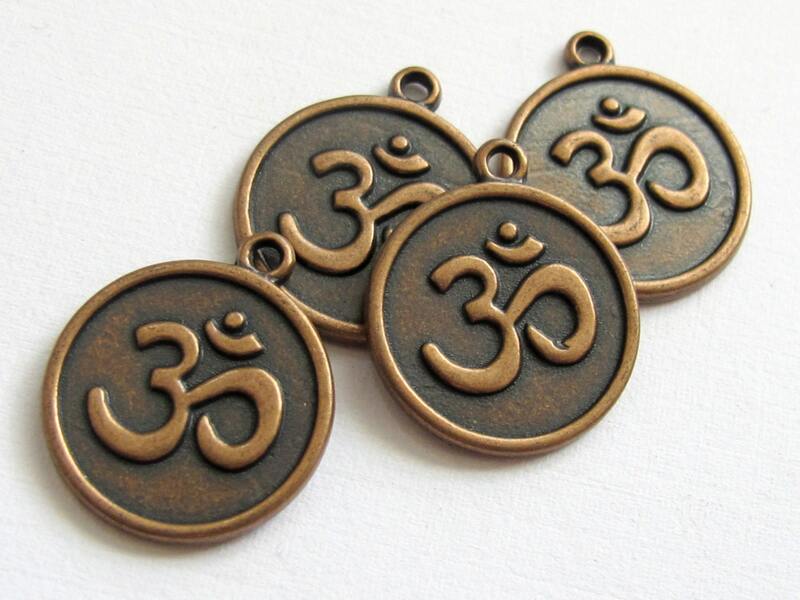 Om - antiqued copper tone metal disc charms . 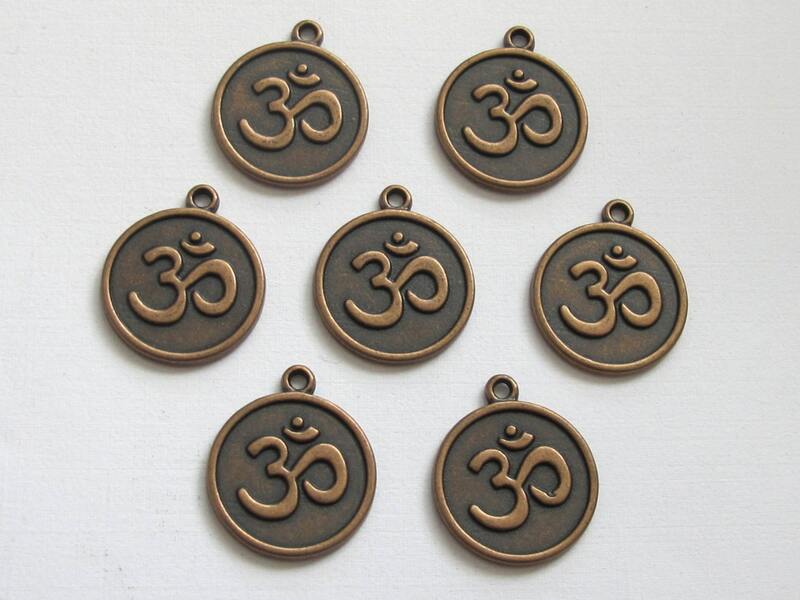 These are round disc shape charms with sanskrit Om inscribed in center. 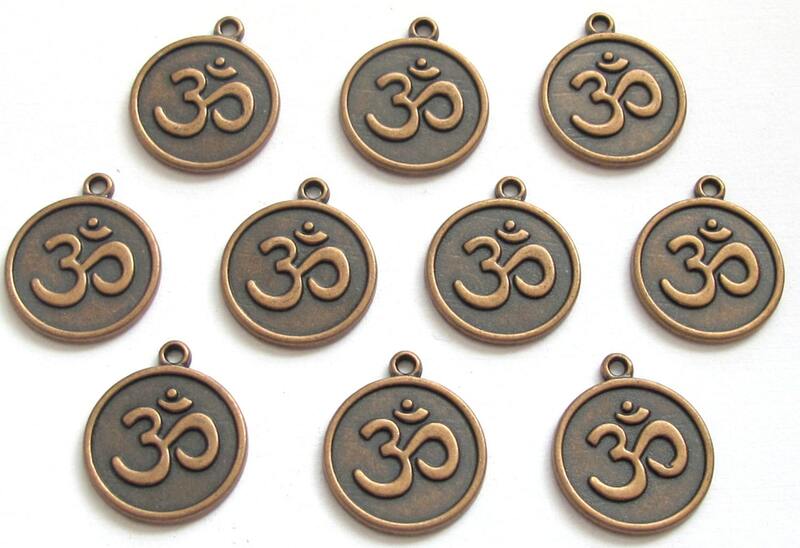 Images may appear enlarged. Please refer to the size as mentioned above.